When I was younger and just starting out in my professional career, I was regularly referred to as a “bull in a china shop”. The filter that many people have where they stop themselves from pushing the things to the point of being uncomfortable for others didn’t really exist for me or at the very least, I wasn’t really mature enough to adhere to it. This paid off for me from a career perspective. Working in Enterprise IT at the turn of the 21st century, the internet was just taking off and technology was being implemented across businesses at a breakneck pace. It was also the beginning of a more “risk-averse” approach to implementing systems because in the late 90’s some companies had already been stung by the promise of the internet and the gross under delivery. I wasn’t wired that way. I pushed people hard and was willing to work harder than everyone else to get things moving. One time in 1998, I worked for four straight days on less than two hours sleep a day and only going home to change clothes and shower because we had to replace all of our core server infrastructure over a long weekend. The entire team was working 8-12 hours at a time, but I just stayed, kept working and when someone would leave, I would pick up their tasks and finish them while they were gone. By the end of that weekend, I was running all of the system administration and network teams across our entire business in Australia… and then Asia. I simply refused to let anyone who worked for me say, “no”. If I felt that something needed to be changed, we changed it. I was open to outside perspectives, but once the decisions were made, excuses were not tolerated and everyone pulled the rope hard and together or they were out. That approach worked for me for about 15 years before I realized that sometimes subtlety and coercion worked better than always addressing everything head on and aggressively driving people to where I wanted them to be. The last few years, that subtlety has been good for me. 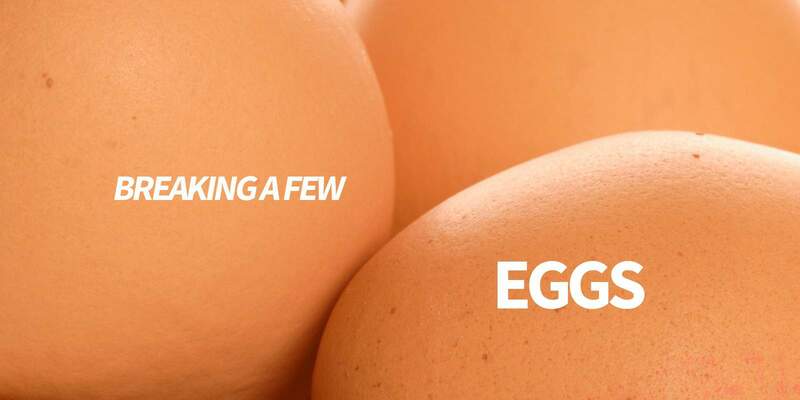 It’s allowed me to be more strategic with how I break some eggs to make my omelette. Normally in those situations, I just explain that we deal directly with clients as well as work with some agencies, but if they want that level of exclusivity then there’s a premium involved. Most of the time, people are good with that and everything works out. About six weeks ago, an agency who we’d worked with for about three years told us that we would now have to “compete” for their business on a case by case basis where they would give us a brief, we would submit a proposal and then they would award the work. Now, we don’t do proposals and we almost NEVER bid for work, so I replied with a quick, “Not interested, good luck.” We sent them the work that was outstanding for them and email with a final invoice – all very professional and neat. About a week later we get an email with the subject line, “Request for Proposal” from them basically ignoring what I’d said and asking us to bid on some work. It went further in that it said that they demanded the bidders to work exclusively with them in what could only be described as a fairly broad market, think like “finance” or “retail” type broad. We just ignored it and forgot about it. The day after their RFP closed we got an email from the owner asking us for our final proposal so he could compare it and select a preferred bidder. Again, I explained to him that we don’t do proposals, we won’t be bidding on any of their work in the future and I wished him well with his new approach. The easiest thing in the world would have been to welcome the Prodigal Son home, slaughter my prized calf and put on a feast to celebrate his return – by that, I mean that we could have juggled some work and helped him out knowing that he’d be a loyal customer going forward. But that’s not cool, I needed to break some eggs. I knew that he would speak to some of our other agency customers and tell them what had happened to garner some sympathy. Sure enough, within a couple days, two of our other clients had contacted me and said he’d spoken to them looking to see if they had other content companies he could use. I explained to them the process he’d gone through, my response and that I refused to bail him out afterwards. I figured that honesty was the best policy. The business I want to run doesn’t deal with difficult customers who try to exploit us – we work with people to help them get outcomes on fair terms. If that means that I have to fire bad clients or walk away from business to get what I want then so be it. When you know what you want and you’ve made up your mind to go get it, you have to be uncompromising at times. You can’t hedge your bets, you have to do what needs to be done to go where you want to go. Too many people want to play nice all the time. You have to be able to take some chances to get what you want. 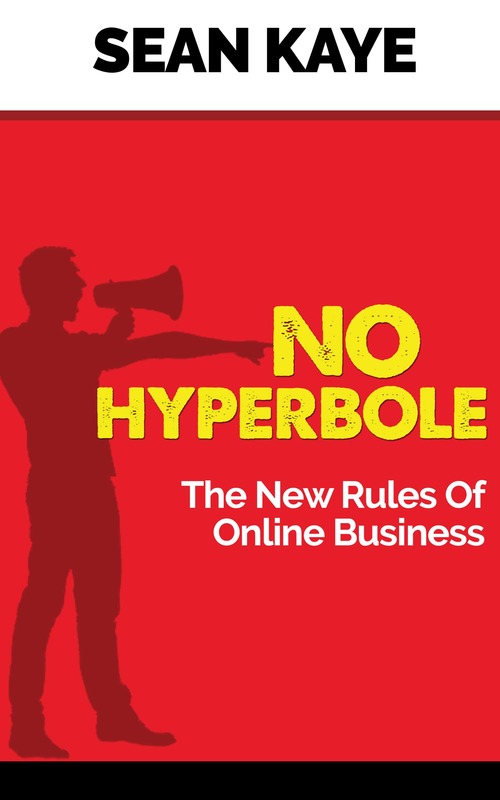 I talk about this in a few of the rules of my book, “No Hyperbole: The New Rules of Online Business” which you can now buy on Amazon for Kindle – so go check that out.